We here at MARFC wish to send out our thoughts & prayers for getting well to many of our club’s members who are battling illness for the past few months and even longer. We ask that the Lord to reach out and touch those who are in need of healing and ask that they all feel the healing hand of the Lord. We still need prayers for Longtime Board member Fran Russo who is in a long-term rehab center. Also, Past President Bill Stone & his wife Arlene could still use some prayers. Past Board member Chuck Horan is doing well after his surgery and we send him get well wishes also. Heard the MARFC member Kathy VanDeusen has been under the weather for quite some time and could use so cheering up. Prayers need for MARFC member Chuck Darling’s step son Brandon Curtis & Michelle McMillian who suffered a home fire early on Christmas morning and lost just about everything, if you would like to help them there is a go-fund me page on face book that you can donate through just look for fundraiser for Michelle McMillan. 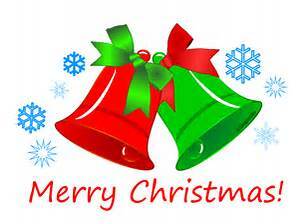 To all MARFC Members: May all of you have a very Merry Christmas! My it be safe for all who are traveling during these holidays to be with family & friends. May the Lord Bless & Keep you and yours on this day and remember the reason for the season.